Our commercial water softener equipment is designed for a wide variety of settings and applications. Stach’s trained, professional, commercial water system consultants will analyze the specific needs of your business and applications, and create a unique system that is both effective and budget-friendly. 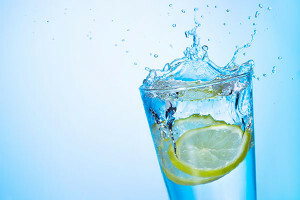 Many types of businesses require high quality water that is free from “hard” minerals. Restaurants, dry cleaners, manufacturing companies, and other businesses all require water that does not scale their water heater, boiler, dishwasher or other equipment. Hard water, such as our water in Illinois, requires more soap and detergents, and contributes to premature aging and increased service expenses in boilers, water heaters, and industrial equipment. An effective, affordable commercial water softener can save your business money. The Autotrol brand equipment (Owned by Pentair and GE) that Stach’s Water Systems offers is second to none. Over the last 40 years, we have installed and serviced most all equipment in the industry. We feature Autotrol, because it has the the best reliability of any water conditioning equipment on the market. If your system does need service, the cost is often lower than other brands. We also service and repair most other brands of equipment, having many years’ experience in the industry. Stach’s Water Systems will design, install and maintain a commercial water softener system that will be right for the job based on the finished water requirements, your initial water quality, budget and type of business. Contact us about our commercial water softener systems today.